Need a stocking stuffer for your own stocking? 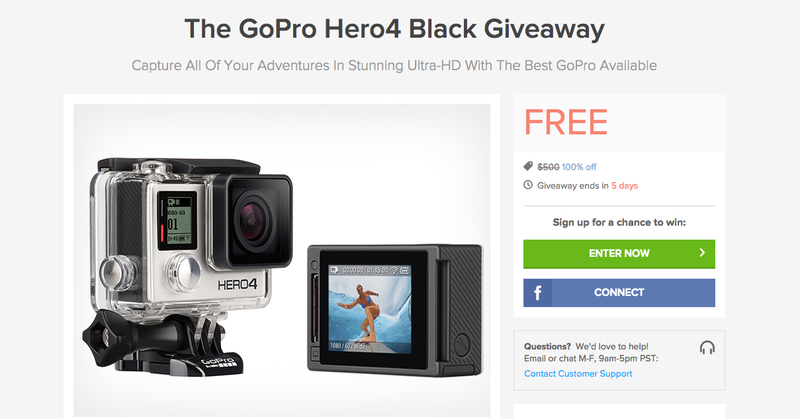 The DL Deals Store is currently hosting a giveaway for a brand new GoPro Hero4. These bad boys go for $500 on Amazon, so winning one for free sure would be nice. The GoPro Hero4 is capable of 1080p60 and 720p120 video, and 12MP photos at 30 frames per second. If you live an adventurous life, one which has you rocking climbing, base jumping, or even skydiving, then this would be the perfect treat to yourself. The giveaway ends next Monday (Dec. 15), that way it can be delivered to your house before Christmas. Ho ho ho. Enter by following the link below.